Being of Irish blood, I have a natural affinity for potatoes. Or at least that’s my explanation for my obsession with potato-based dishes. 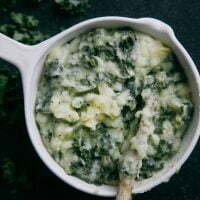 Colcannon is a traditional Irish dish made up of mashed potato, kale or cabbage, milk and butter or cream. Sometimes with added scallions and herbs. Of course, my version is completely dairy-free but nonetheless creamy and rich. It has long been one of my favourite dishes and one I don’t make nearly often enough. But now I have created this super easy one-pot recipe, I have no reason not to make it regularly from now on! 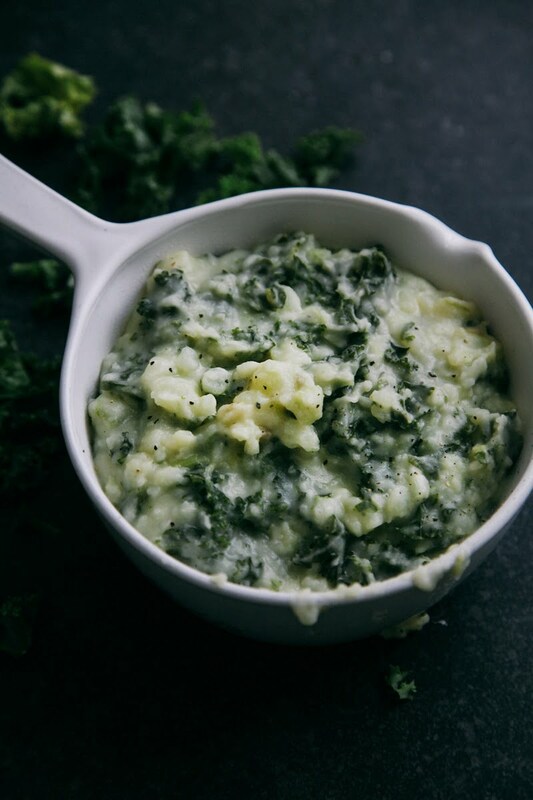 Did you know that an Irish Halloween tradition is to serve Colcannon with “charms” hidden in the middle? Such as buttons, which if you found meant you would remain a bachelor, a thimble – which meant you would remain a spinster for a year, a ring was a sign you’d be getting married and a coin was a sign of good fortune and wealth. 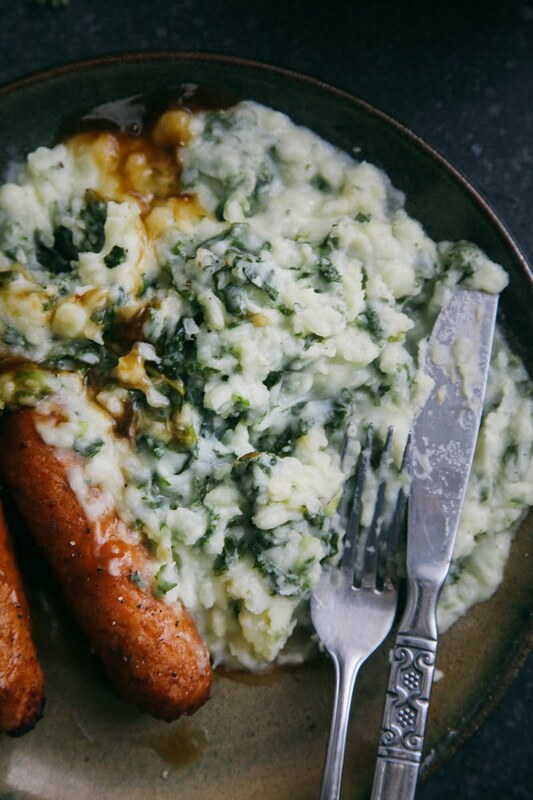 I also love serving the mash with veggie sausages for a hearty, filling meal. 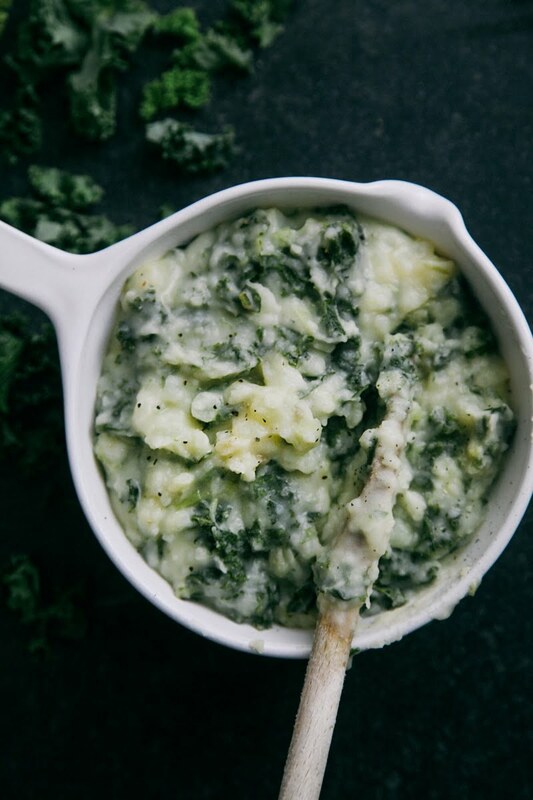 A traditional Irish dish made with mashed potato and greens. Add the potatoes, kale and spring onions to a large pot. Cover with water and put on a medium heat to boil for approximately 15 minutes, or until the potatoes are soft. Add the dairy-free butter and milk (add in a small bit at a time, to see how thick or creamy you prefer it.) Add salt and pepper, to taste. Mash together until creamy and serve. Oh man this looks delicious! Did you make mushroom gravy to go with? and the sausage, which do you use? :) I follow on instagram and had to get this one! Love the photography too.